The Biggest Trend in Digital Marketing | V2M2 Group, Inc. There are many articles and posts out there that discuss the future of digital marketing. They talk about video, content marketing, influencer marketing and more. While these are all true, there is one area that is going to grow in demand more than anything else when it comes to digital marketing. Yet it is one area that very few if any, articles even address. I have my own hypothesis around this. It may be right. It may be wrong. Nonetheless, it cannot be ignored. Years ago, the late 1990’s to be exact, when the internet was just starting to grow, I was a young nerd in my twenties. Just out of the military after serving 5 years to pay back my time at the United States Military Academy at West Point, I fell in love with the internet. Way before WordPress and other CMS’s, I was building websites with a Microsoft product. It is so old that I cannot even remember what it was called. My thoughts were that this internet thing was going to be big, and that businesses should get onto the internet. Thus, was born, Onyx Internet Marketing and Advertising in Central Florida. I went door to door trying to sell this theory to businesses and was laughed at. As a young entrepreneur in my late twenties, I did not have the cash flow nor the perseverance to go on. I closed my doors and went into Corporate America. Twenty-something years later with years of Sales and Marketing experience now under my belt, I started the V2M2 Group. Still in love with digital marketing and realizing that I have always been a bit of a rebel, I wanted to enter the marketplace with something different. Now, we all know that a degree is nice to have, but it does not automatically guarantee success. There are many people who are way more successful than I am who have no degrees. In my case, getting that MBA did help me to see business in a different light. No longer did I see digital marketing and social media as just a way to increase visibility, engage prospects/clients and hopefully increase business revenue. Digital marketing strategies must be carefully crafted from the overall objectives of the business. In my opinion, businesses are in business to make money. Creativity and engagement are one thing, but if these are not carefully woven into generating positive revenue for the business, they don’t mean a thing. As a matter of fact, if you are not able to demonstrate a positive ROMI (Return on Marketing Investment) then YOUR digital marketing strategy will become the scapegoat. What is one of the most expensive operating costs of a business? If you answered employee salaries and benefits, then you are correct. Who also has the biggest potential to become the best advocates for your business? If you answered, the employees, then you are once again, correct. 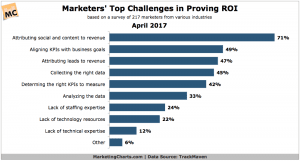 With regards to digital marketing, which channels produce some of the highest ROMI’s? If you answered email marketing and influencer marketing, you are just too cool for school! Great job. Now, influencers do not necessarily have to be advocates, but advocates can and will be influencers. If you as company have high employee turnover and are asking for a digital marketing company to help you generate more revenue, then you are already starting behind the eight-ball. Part of a digital strategy would be getting your “happy” employees on board with the strategy to help increase the share of voice and advocacy. But they keep leaving! So, nix that. Think of it in this way as well. The company that wants to hire you to save their sinking ship is losing employees so now their operational capacity has decreased. So, they may be losing money due to decreased production. Now they have to spend more money to hire more people. Additionally, you are asking them to pay your agency a hefty fee to help them improve their digital footprint. Your agency had better make them more money than they are losing because if you do not (and the chances are very high that you will not), you will be fired, due to no fault of your own. Spoiler alert! Spoiler alert! You probably did not know this but many companies have little to no idea what they are doing or need to do to increase their bottom line. Have you ever been in a retailer that sells everything? They make most of their money on a few items, but continue to take up valuable space with items that very few people even want. They have an overage of inventory which costs them and loses them money. Then they want you to come in and market their business. What are you going to market, the entire business? This story will change the way you look at digital marketing. Our very first client in 2011 was Japanese Sushi and Steakhouse. They wanted to try social media marketing. We said sure, but needed to find out how to make them money so that we could demonstrate a positive ROMI. Our discussion went something like this (the Cliff Notes style). V2M2-How much revenue do you want to make this year? Sushi Place-We are not sure. V2M2-Ok. Let’s look at your business. Let’s figure out where you can get the biggest bang for the buck. What about the menu or dine in? Sushi Place-Well, we would like to expand our offerings but that would require hiring a new chef and then changing the menus. V2M2-What about real estate. How many patrons can you fit in here on your busiest day? What are your slowest days? What is your best-selling dish. Sushi Place-Well, we can fit “x” amount on the busiest day. Our best dish is “y” and we cannot expand because there is a nail salon right next door. To meet our goal, we need to sell “x” amount of “y” but we are short a chef. Sushi Place-The city limits our revenue on the bar to 10% of our overall revenue. (interjection- “I have never heard of that”). V2M2-Ok, let’s discuss delivery and take-out. We do not want to implement a delivery strategy at this point because that would mean more investment on your part up front with a driver, insurance and more. Let’s keep this simple. So, let’s focus on delivery. Let’s get the patrons to come to you. Sushi Place-Hmmm. That sounds interesting! We implemented a strategy focused on increasing their take-out orders and were able to increase their take-out orders and overall revenue by 200% in 3 months. That was a positive ROMI. Business acumen was the secret to that sauce. Can we think back to the previous story from 2011? A couple of years after starting the V2M2 Group, I was told by a very successful marketing CEO that I needed to find a specialty. Our thought was that my “specialty” would be a certain component of digital marketing. However, I felt that concentrating on one specific area of digital marketing would lead to increased inefficiencies for my clients. It was critical to know how ALL components of a digital marketing strategy worked together. Having to deal with separate web developers, SEO specialists, social media marketers, content marketers and more who may only be proficient in their specific areas with very little business acumen could lead to things being lost in translation and the dilution of the common organization business goal for our client. Therefore, it was more efficient to have those skill sets under one roof with skill subsets being outsourced. It is my opinion through the experience of our agency and just plain business sense that the biggest trend in digital marketing will be the ability to measure and prove the ROMI of digital marketing strategies. Content marketing, social media marketing, video marketing, email marketing and search engine marketing are simply in supporting roles of the ultimate objective of revenue generation. Why are few talking about this? Perhaps so few talk about it because it is an area not understood by a large majority of digital marketers. This is supported by the aforementioned study. The chart below from MarketingCharts.com shows that there is a need for this. This begs the question even more as to why do so few address this? The days are gone where pretty pictures, engaging videos, follows, likes, website traffic and more are going to appease business owners. Businesses want digital marketers to be able to discuss business. They want to know how your marketing actions are going to help them remain sustainable. 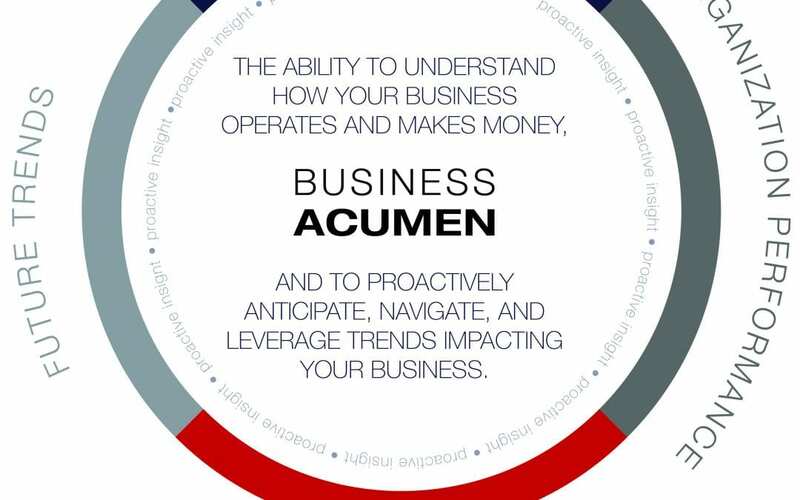 Digital marketing business acumen is the biggest trend for 2017 and beyond.